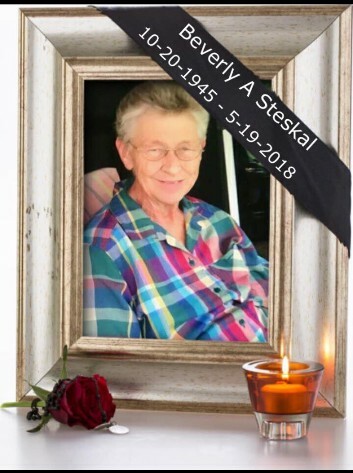 IOWA ASSOCIATION OF THE DEAF, INC.
"Concerned with the General Welfare of the Deaf of Iowa"
Beverly Steskal, 72, of Harlingen, Texas, succumbed to cancer at a hospice last May 19, 2018. Beverly was born in O’Neill, Nebraska on October 20, 1945 to deaf parents, Joseph and Lois (Hogan) of O’Neill, Nebraska. She also had a deaf uncle, Dennis Steskal. She attended Nebraska School for the Deaf for a while then transferred to Norfolk Catholic School, Norfolk. She eventually graduated from the Catholic school. She went to a business school and graduated from it. She later worked at Mutual of Omaha Insurance Company, Omaha as a claim adjuster. She married to James DeVaney of Omaha, Nebraska. Their marriage ended amicably. She was president of Nebraska Association of the Deaf for six years. She also was an editor of the association’s newsletter, The Nebraskan. She spent her life trying to make deaf people live better. Beverly and her partner moved to Harlingen, Texas in 1989 to start her new career as a consultant. She is survived by her partner, Cindy Graham. Thanks to Norma Nelson for the information.